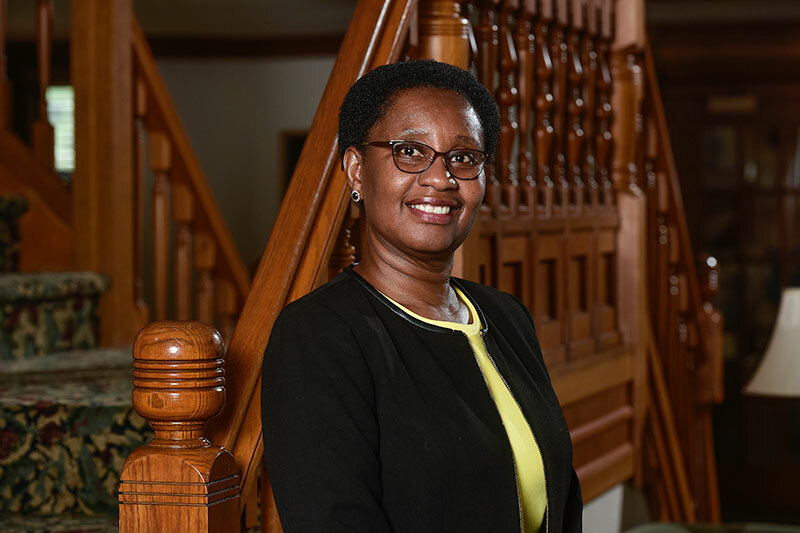 The First Lady of Millersville University, Dr. Judith Wubah, brings her experience in various roles in higher education to the position. After receiving her Ph.D. in Development Biology/Teratology (the study of birth defects) from Thomas Jefferson University, Philadelphia, she served as a faculty member at James Madison University and the medical school at University of Florida. At Virginia Tech, she was the founding Director of the Office of Health Professions Advising. In her most recent position as Associate Director at Washington and Lee University’s (W&L) Corporate and Foundation Relations, Judith was responsible for the management of externally funded science grants from proposal preparation to closeout. In this role she liaised with internal administrators to ensure compliance of federal rules and regulations. Her academic role at W&L included teaching the Richmond Spring Term program, which allowed students to shadow physicians and gain introductory experience in medical practice in the Richmond, VA area. Judith earned an M.S. in Biology from the University of Akron and her B.S. (Hons) in Botany and Dip. Ed. in Science Education are from the University of Cape Coast, Ghana. As a life-long Episcopalian, faith is important in the life of Judith and her family, and she has served as a lay reader in each church that they have attended in the various states. She loves to cook for her family and is an avid sports fan. President Wubah and Judith are proud parents of two daughters and two grandchildren.